Welcome everyone, to the Best of Kotaku, where I collect all of my colleagues' best work from the past week for your viewing pleasure. Before we jump into the best content, let's take a look at the image above. Look at it. Isn't it pretty? 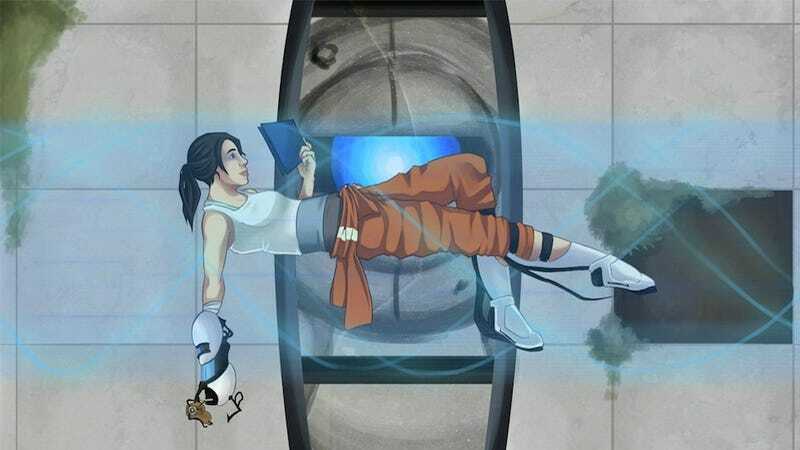 I like to imagine that Chell decided to stay in the Aperture facilities upon [spoilers] escaping the clutches of GLaDOS and a crazed Wheatley so she can lounge in excursion funnels and get her exercise using the mobility gels. Today's best image found on the Internet comes from Reddit user aparaitre. This week's best comment goes to richardharo for an insightful look into the Norway mass murderer situation and how we should be dealing with him. You can find an excerpt down below, but you should read his full post here. The only way I would ever be satisfied would be to see Breivik educated, to see him break down crying after he has regained empathy, to see him regret his murders in the name of fascism. To admit he was wrong... only then would I be satisfied. It's so tempting to say execute him, torture him, but that's exactly what extremist right wingers approve of. They love violence. They love actions dictated by our irrational, negative instincts. It'd be giving him (again) what he wants. The only correct response to his actions would be to demonstrate they don't work. To defeat his ideas themselves. Answer his fascism with more liberal democracy. I'd allow an increase in immigration into Norway just to throw a wrench in his plans (whereby he estimates that after a three year backlash, the government will make concessions out of fear).